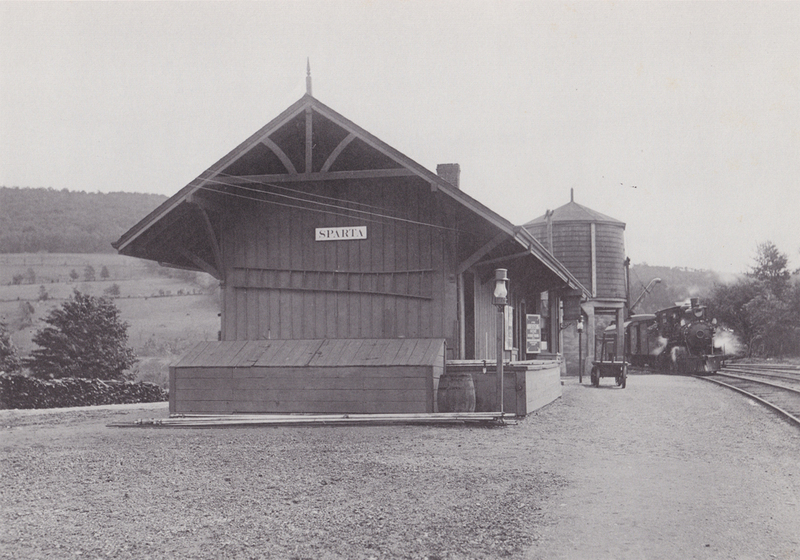 The original Sparta station was a standard design once used in all of the NYS&W depots. 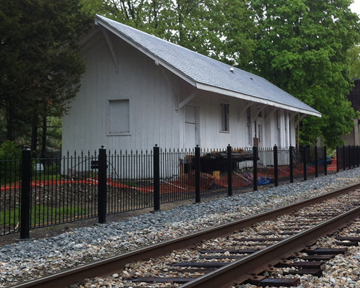 It was one of 15 built in Sussex County by the railroad. 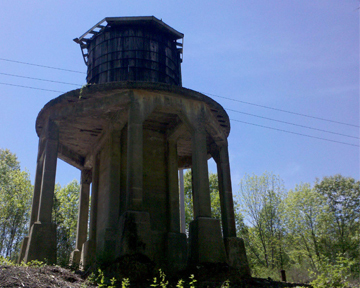 It still has a very rare example of a surviving water tower in the region. 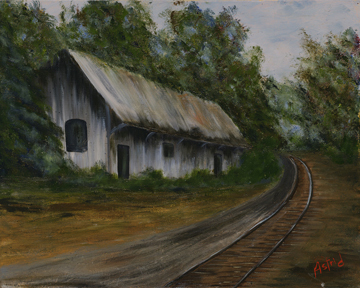 The Sparta station was once a destination for city folks taking a trek to get a taste of the country and enjoy the many summer recreation spots available in Sussex County. One such recreational activity was an early test program to introduce tourists from the city to hiking. 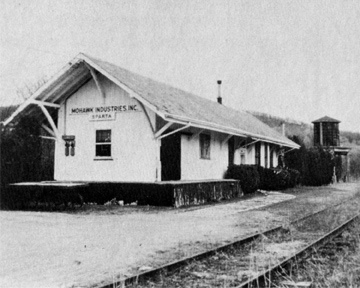 Founded by the men who later formed the Appalachian Trail they would transport hikers to the Sparta Train Station from NYC where they would begin their hike. They would hike to the Hudson Guild Farm where they would have lunch and then on to the Mt. Olive Station to ride home to NYC. What a landscape the hikers must have observed in those early days of Sparta. 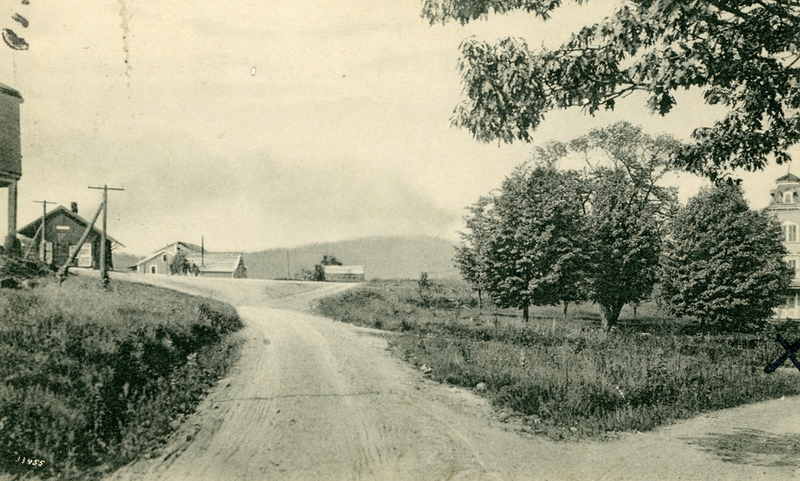 Starting in the late 1800s, Sparta thrived as a summer resort community, catering to tourists who came by railroad to swim in the county's lakes and enjoy its pristine beauty. After arriving at the station, the visitors would take a horse-and-carriage buggy ride to one of the many resorts. 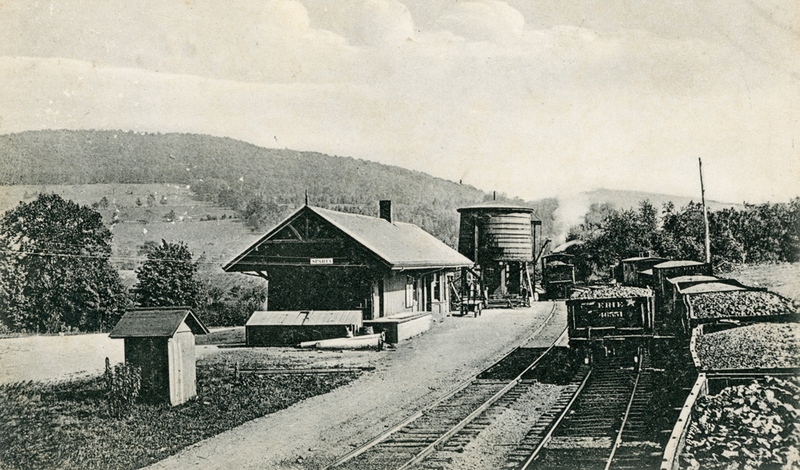 "The station made Sparta a popular place to go in the late 1800s ... there were 30 resort hotels in the area," said local historian and railroad buff Bill Truran. 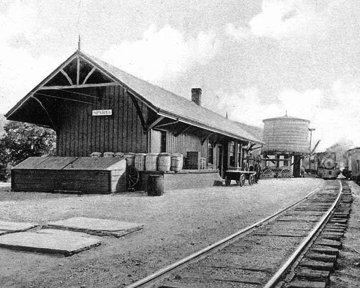 By the 1940’s the Sparta Train Station passenger service had ended. Cars had replaced the train as the easiest way to get to the country. The station continued on as a freight depot till the 60’s when that service was also discontinued. From the 1960’s until 1993 the property had several owners who created many problems for the site. The first company improperly disposed of toxic chemicals on the site while the second polluted the air with their antiquated systems of mixing chemicals. For some of that time the Station was used as an office for the chemical company. They even had plans at one time to expand the station and put on a conference room and more offices. The sloppy business practices of these owners eventually led to the need for the EPA to come in and seize the property and clean it up. During this time the train historical community watched helplessly as the station fell into disrepair. Sitting abandoned for nearly 20 years the station endured every type of abuse including vandalism and graffiti. It was a forgotten place where lost people could vandalize and make mischief. These years were captured by many artists and photographers and their work captures the haunted wreck that the site was. The EPA executed the cleanup from the 1990’s until the early 2000’s when it was deemed to be clean. In 2008 the property was sold to its current owners at an auction in Newark. This site was purchased by a local family, the Dermody’s. 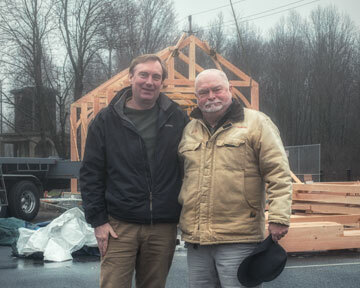 Having owned property next to the Station the Dermody family dreamed that someday the station could have a new life away from the chemical company and the vandals. When the opportunity to purchase it came up in 2008, the family made it happen. “For four years we transformed the site from a dump into a showplace” -William E. Dermody III. This sums up the job that was done to create what is now a beautiful recreation facility in town. Used by the Sparta PAL, CrossFit Sparta, and Aikido Centers businesses this center is still going strong today. 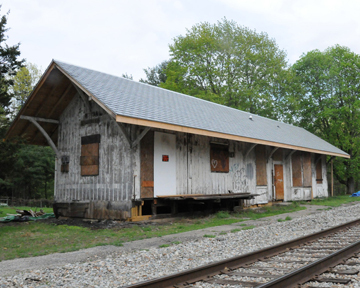 The destruction of the Sparta Train Station during the early morning hours of Labor Day 2012 is a tragic loss for the Dermody family and the entire community. 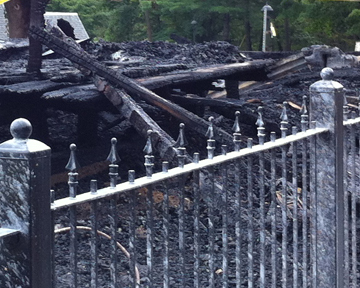 The fire started in the early morning hours and was called into 911 by a car passing on Rt. 15. Nothing was spared and it was as if the building was never there. The fire investigation found that the fire was caused by a malfunction in the electrical system which was installed by JCP&L. This tragedy created a need for all new plans, approvals, and engineering for the building. We had to find contractors who would bring the building back to its original charm and character while staying within a modest budget. This period from 2012 till 2016 has been trying and painful but seeing the first timbers go up has marked a new beginning for the station. Standing in the new structure feels like it did inside the station. Sparta Train Station is now re-built and construction has finished. The station has taken on a new life as a community training and event center, built into a museum housing railroad artifacts from the local area. This nonprofit venture attracts local artists and craftsman who would like to “train” a new generation in their skill. Funds generated from these activities will be used to sustain the station into the future.